In case of a cat emergency, waiting until "normal business hours" is not an option. 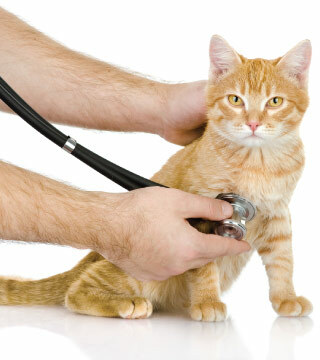 In a time of crisis, Riverbark Veterinary Hospital is open with an emergency cat clinic. Our hospital is staffed 24/7 and ready to help! For any feline requiring emergency cat care in the Fayetteville area, Riverbark Veterinary Hospital is proud to offer 24-hour emergency care at our emergency cat hospital. , Riverbark Veterinary Hospital is open 24 hours a day, 7 days a week, 365 days a year for any emergency cat care situation that arises. Call our main hospital at (910) 621-1604, and our veterinary technician will put you in contact with our doctor on call. If you don't have the seconds to spare, please bring your cat immediately to us anytime day or night, weekends and holidays included. The most important thing is to get them to us as soon as possible, and let us handle the rest.